It's rare for a medical condition to have its sub-types reclassified. It happened to autism a couple of years ago and there was uproar as people were worried they would lose their diagnosis. It's now happened to another condition that also affects me and my sons, the rare disease, Ehlers-Danlos syndrome. Although The EDS Society patient group was involved in the change process, there is naturally concern among patients about what the changes mean. So, as I'm UK and Europe Advisor for The Ehlers-Danlos Society, I thought I would write this post to help, with links to the sources to find more information. I also know a fair number of our readers and their children have this or a related condition or have long-sought a diagnosis. It seems, anecdotally, to be a condition that some children with autism can be prone to. Ehlers-Danlos syndrome is a connective tissue disorder described by the world expert, Professor Rodney Grahame, as one of the most neglected disorders in the history of modern medical management. Like autism, EDS is a spectrum disorder, in that within the umbrella of “Ehlers-Danlos syndrome” are different classifications and different levels of severity within each type. Up until now, if you have Hypermobile EDS (hEDS) like me, you could be diagnosed with EDS-Hypermobility Type, Hypermobility EDS or EDS Type III and it was thought that it was the same condition as Joint Hypermobility Syndrome (JHS). All very confusing. 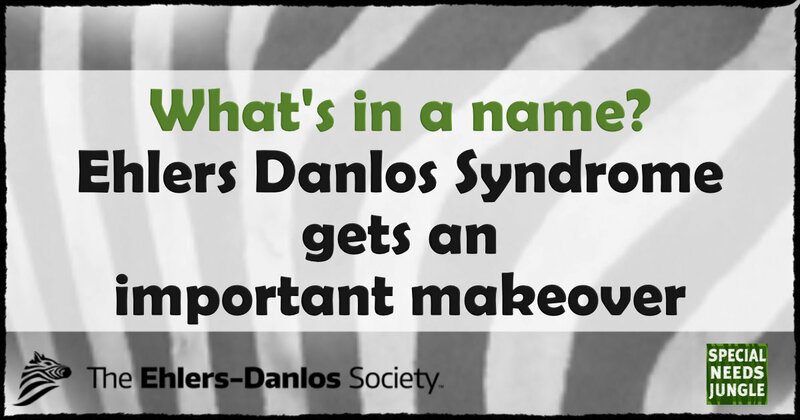 And that’s just one type of Ehlers-Danlos. But now, the world’s leading specialists in EDS have worked together with The EDS Society, to clarify the criteria for a diagnosis on the different types. There are a number of different types, some ultra-rare and some life-threatening. Even the less rare type can mean the patient dislocates joints, bruises easily, suffers great fatigue and chronic pain. It is not unusual for the EDS patient to need a crutches or a wheelchair or have co-morbidities that need surgery or tube-feeding. Again, like autism, don't think that just because you've met one person with Ehlers-Danlos, you know what the condition can be like for another person with the same diagnosis. 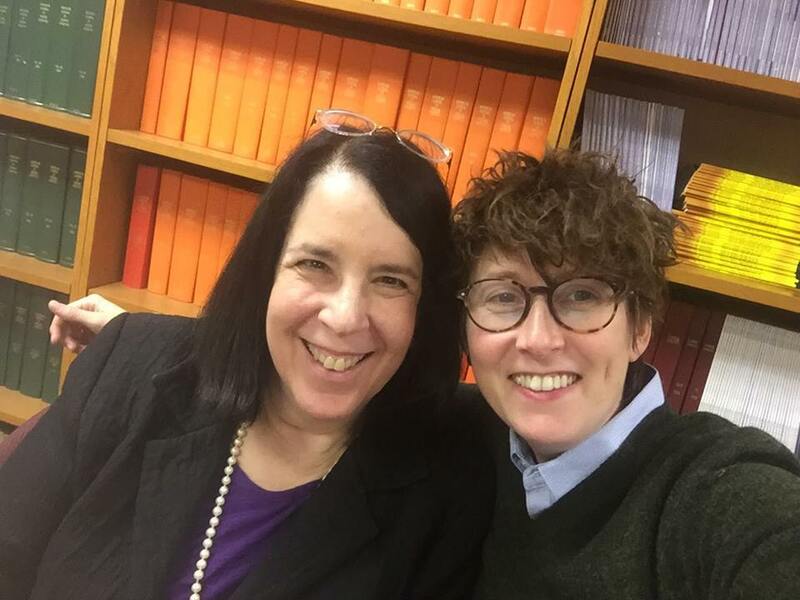 Yesterday, The Ehlers-Danlos Society’s Lara Bloom and EDS expert and Geneticist, Dr Clair A Francomano, held a webinar to explain the new classification system. A supplement of 18 new medical papers supporting the new classifications is also being published and I'll link them here as soon as they are available. For the next three months following publication, the supplement will be available for free download from the EDS Society website and after that, each paper will be available singly. It is vital that patients download these and print or email them to their GP, consultant, physio, specialist or any other medical professional they know. It's hoped the papers should also make swifter and more accurate diagnosis possible as, armed with the criteria, patients will not have to be on a long waiting list to see one of the few EDS specialists or fork out, as I did, to be seen quicker - if they can afford it. The EDS Society has published a comprehensive set of FAQs about the changes covering all the types and co-morbidities (and why the new classifications do not cover these related disorders yet) You can download this here. You can see the new classifications in the image below. AR means autosomal recessive; AD means autosomal dominant. This is a broad subject and, for brevity, I’m only addressing the most prevalent type of hEDS as this is where most of the clarifications have taken place. It’s previously been something of a subjective diagnosis, depending on which doctor you saw, because the gene that causes Hypermobile EDS has not yet been discovered. This means a clinical examination and history has always been relied upon to make a diagnosis along with various scales and scores. Therefore, a doctor not necessarily expert in EDS could easily give an incorrect diagnosis either way. Does everyone who is hypermobile have hEDS? In short, no. Just because you’re a bit bendy does not mean you have the condition, otherwise we would be including gymnasts, dancers and all sorts of very fit and well people. That’s not to say none of these people have EDS, but if they are living pain-free and are otherwise very healthy, they are unlikely to have, or require, a clinical diagnosis. The new classifications also shows that hEDS and Joint Hypermobility Syndrome are NOT the same thing as had been previously supposed. This doesn’t mean that JHS can be safely ignored – it is just as important, still needs to be treated for its symptoms with good patient care. It’s just a different diagnosis to hEDS and will be known as Hypermobility Spectrum Disorder. “This publication is a game-changer for the Ehlers-Danlos community,” says Dr. Clair Francomano, Geneticist and Director of the Ehlers-Danlos Society Center for EDS Research and Clinical Care, and a co-author of the publication. “Up to this point, research into the Ehlers-Danlos syndromes has suffered from a lack of coordination and much of it has been based on outdated and incomplete diagnostic criteria. Moreover, clinical care for these patients has been compromised because physicians and other health-care professionals are generally not familiar with the wide range of manifestations and co-morbidities that may be seen in these conditions..."
Because of the reliance on a clinical examination and history, misdiagnosis or missed diagnosis is always a danger. To make this less likely, the criteria have been tightened up and more clearly spelled out as below. One major change: The previous classification systems, Villefranche and Brighton, will no longer apply. The Beighton score remains as the first criterion. As a child could you contort your body into strange shapes or do the splits? Do you consider yourself to be double-jointed? To be a positive score there needs to be at least TWO ‘yes’ answers from the above. If the Beighton score is ONE point under the cut off for the age, and there is a positive score from the above 5PQ, a diagnosis of Generalised Joint Hypermobility can be made. So this is something concrete that you can download and print. You can see the slides from the webinar here. So what if your child doesn’t meet this new criteria? First of all, if you or your child already have a diagnosis of EDS, it won’t be taken away. If you want to seek a new diagnosis, of course you can. The new system does, however, separate out hEDS and hypermobility spectrums. It doesn't mean one is more important than the other, it is just a more accurate classification for diagnosis so those without all the symptoms can still receive a diagnosis and not be fobbed off. Those not meeting the stricter criteria for hEDS can be diagnosed with Hypermobility Spectrum Disorder, or HSD (which may include those with JHS). As well as including those with symptomatic joint hypermobility that don’t meet the full criteria, HSD can apply to those with asymptomatic hypermobility (i.e., doesn’t cause problems); hypermobility that is Localised (L-HSD), Generalised (G-HSD) or Peripheral (P-HSD); and those with a well-defined syndrome with joint hypermobility. Also, H-HSD – a person who may have been hypermobile in the past but not now but who has musculoskeletal problems. The new system doesn’t go into detail about some of the many co-morbidities such as gastroparesis, Chiari Malformation, Mast Cell Activation Disorder, Tethered Cord and so on that are often seen with EDS patients. There is a reason for this: clarity of evidence for a direct association. To gather reliable evidence needs research and research costs money. So this is not to say that these conditions do not go hand in hand and make up a very real and disabling part of EDS conditions. We all know that, anecdotally, they do. It’s just that this is a first step at classifying a complex condition and other parts will follow when the research has been done to establish sufficient evidence to be included in guidelines. The EDS Society, only formed under a year ago from the former US-based non-profit EDNF to expand it into a global organisation and credit goes to my colleague, Lara Bloom who herself has EDS and yet has travelled a lot of the world working on making the EDS "invisible, visible". Lara and The EDS Society are also working on updating the criteria for the ICD10 medical diagnostic information. Other work includes a huge project working on an EDS Registry, working with the World Health Organisation on EDS and with other UK charities to get official guidance from NICE for treatment protocols. Do donate to help fund this work and EDS research, if you can. You can see the slides from the webinar here. Well I would lose my EDS diagnosis according to these new criteria, so the concerns were correct. Yet I was diagnosed by Professor Grahame himself. I’m not impressed with these very confusing and unhelpful changes. I only scored 3 on the Beighton scale, but outside of that I have additional hypermobility as it only assesses hypermobility in a limited range of body parts. And the author of the Beighton scale stated from the beginning that it was never meant to be used diagnostically. So where are the list of symptoms for symptomatic HSD? And how does anyone explain I have a whole host of EDS symptoms and additional related diagnoses, but now don’t apparently meet the criteria for EDS? As for the genetics, as the UK’s NHS won’t do genetic testing unless you have either blatantly obvious clinical signs or your collagen shows a particular formation under the microscope, there will be a raft of people left in the hinterlands of potential misdiagnosis still. BUT that project ONLY accepts kyphoscoliotic and classic EDS subtypes as rare diseases in the project! Source https://www.genomicsengland.co.uk/information-for-gmc-staff/rare-disease-documents/rare-disease-eligibility-criteria/ See P319. There are five other types! 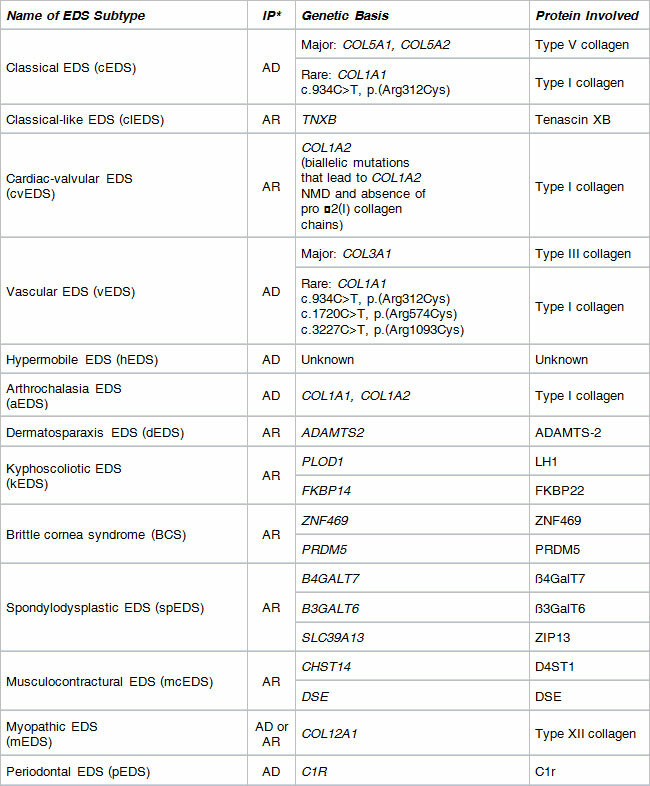 “Ehlers Danos [sic] Syndrome (EDS) includes a complex group of rare disorders caused by changes in genes that weaken the connective tissues. At least seven sub-types of the condition are recognised and the way patients are affected can vary significantly. The Government is committed to improving the lives of patients and their families affected by rare diseases including EDS.” They can’t even spell it correctly! So why are only 2 out of 7 EDS subtypes being included as rare diseases despite the Government saying EDS itself is rare? How can the Government use the 100,000 Genomes Project as a basis for their claim? In fact, for hypermobility EDS (HEDS type III) those in the field claim it is NOT rare. Hypermobility is thought to have a prevalence in the population of 20-30% (http://hypermobility.org/help-advice/hypermobility-syndromes/jhseds-hm-clinicians-guide/), not all will go on to develop EDS but that gives you an idea of how common it is. Therefore, this is why there is no research being done, it’s not considered rare or serious enough – but those large numbers and the ignoring by science to date, is precisely why research however does need to be done! So many people with HEDS suffer without answers for their debilitating condition and the Government is fobbing people off with this response. It does say in the post that no-one will lose their diagnosis and, if you look at the criteria, if you have MSK or other symptoms (In the A.B.C list on the slideshow) you will still get the diagnosis. As it also says, everyone with the condition, whether hEDS or HSD, should be treated seriously. As to what happens, that’s another matter, which is about physician training but I really don’t think they’ve just plucked these criteria out of a hat. The comorbidities will follow when there is more research and the money to do it. You can’t diagnose hEDS from genetics anyway, not yet anyway, so you do need signs that indicate one of the types that can be genetically diagnosed. The Beighton score is only one small part of it, so it isn’t being relied on as the main thing. When the 18 articles are out, we can see what they say for more detail. I know but it still makes it clear that if I were to be reassessed I would no longer be considered to have EDS. I found the whole explanation really confusing, I don’t mean how you worded it but how they have classified it. What I did manage to grasp, if I have understood it correctly, is that I don’t meet enough of the criteria from each section to ‘qualify’. The Beighton score was developed for epidemiological purposes not for clinical diagnosis. I know they are not using it on it’s own, but they are using it with cut-offs, which I fail to meet. They need to take age and other factors into account as variables and not use such strict cut-offs, they already know it’s a spectrum. The whole problem is that they are not researching HEDS. It looks like a sad orphan there with it’s unknown gene comment. If they are saying HSD is less severe than HEDS, then reclassifying some people as HSD, no matter what they say, will inevitably lead to doctors dismissing HSDers and we have enough of a problem with HEDS already! I don’t meet the criteria out of that slideshow, but I have many other EDS features and related co-morbidities. It just doesn’t add up. And it did happen with autism, even if it’s not been advertised in mainstream media. It’s likely many autistic females have been misdiagnosed with social communication disorder. be vulnerable to being misdiagnosed with this because they are masking and mimicking socially. Females will be the group most impacted, they often don’t have repetitive behaviours and restricted interests – or they manifest in a different way. So now that the DSMV has gone this way, the ICD may follow suit, they are already in their draft stage going the same way of getting rid of separate subtype diagnoses and calling it all ASD. Is there an easy way to find out the alleles/SNPs for the genes listed? It is useful to have this laid out and a minor relief that I still qualify for hEDS under the new terms but please ditch the slideshow section. I find it a nuisance enough myself but I can’t imagine what it’s like for the visually impaired and when medical jargon crops up it’s at least useful for people to be able to copy/paste text for looking up. I’m a little confused as to why some things have gone missing, like abdominal hernias? I’m also at a loss to see why ‘do you consider yourself to be double-jointed’ is in there as it’s such a subjective question when so much else is so cut-and-dried. I wonder if this is going to be the last last revision or the penultimate last. This is, of course, just a snap shot. If you follow the links through to the publications you’ll see the whole detail that we can include here for space reasons.